JEFFERSON CITY, Mo. — On his first official business day in office, newly-sworn in Governor Mike Parson chose to get the ball rolling quickly, meeting with members of the Cabinet and the press. Parson, throughout the morning, has been meeting and taking phone calls from several officials, including Secretary of State Jay Ashcroft. Parson stepped out at about 10:30 a.m. to take a few questions from the press while meeting with Cabinet members, who sat behind him. When asked whether he intended to replace any of the current Cabinet members, Parson’s response indicated he was not looking to do so. “Governor Greitens brought together a good team to the state of Missouri,” he said.“I don’t anticipate any changes in the Cabinet, and all I want to do is be a resource for them, and work with the Cabinet because there’s a lot of good things that’s going on in the state of Missouri and we need to continue doing them. He said they would be looking into the legalities of the issue and how to go about it, but he said it would be a priority for his administration. 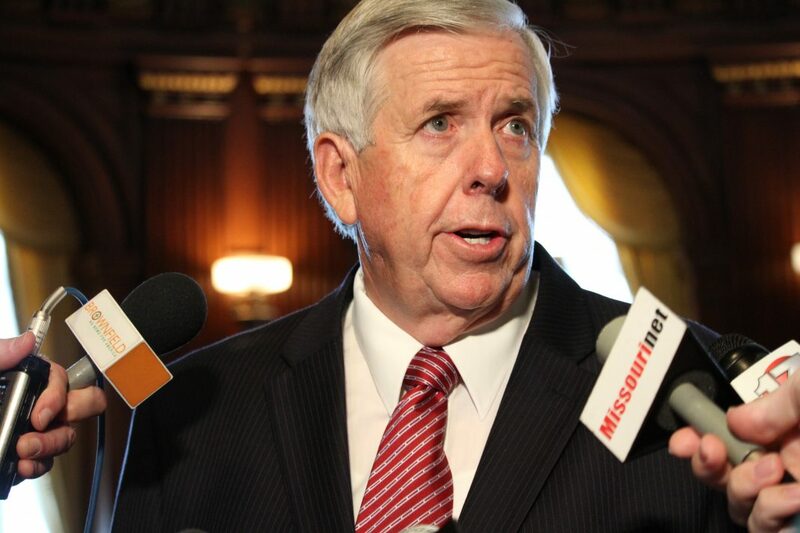 On Tuesday, Governor Parson is scheduled to meet with the Mayor of Kansas City, Sly James. He also confirmed that he would be meeting with St. Louis Mayor Lyda Krewson in the future, saying he wanted to know what the issues are for each city, and wanted to use a coalition of mayors to identify issues from both rural and urban areas, and finding ways to work together to better the state. “I want to learn about those areas and see what we can do to help them, and I want them to know what functions we’re going to take,” he said.